A certain visual aspect you give to the website goes hand in hand with a certain typographic style. Therefore, it is important to set the typography according to your unique brand. It might tell a story, or it might look professional, or you can talk to your readers in a casual manner. All this is expressed by your typography. Go to the Customizer -> General Settings -> Typography. 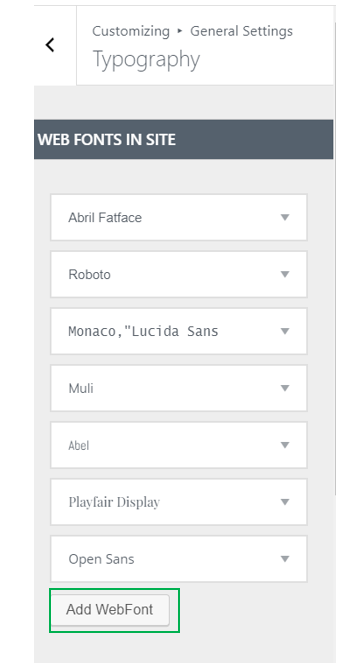 From this subsection, you can define the fonts that will be used within the pages of the website. In case a web font is missing, you have the possibility to add it, by clicking on Add Web Font. 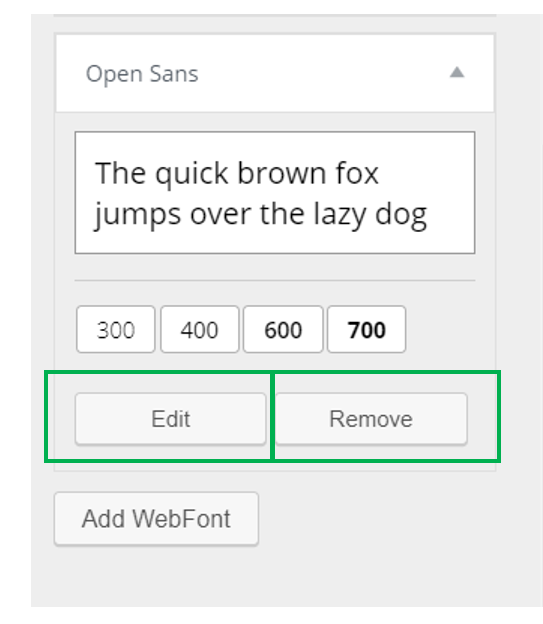 For the existing web fonts, you can use the Edit option. If you want to remove a web font from the list, press Remove. From this subsection, you can define the typography of text elements organized in paragraphs or headings. Variant – select the variant from Normal, Bold, Italic, etc. Text Transform – set the text to be turned into uppercase, lowercase, capitalized text, etc. The same options as above can be applied.